When Sherwood Drake was accused of stealing the railroad payroll, The Hangrope Posse lynched him before anyone could prove his guilt – but the money remained missing. Seven years later, his sons Braxton and Martin ride into Shady Grove looking for answers. They doubt they will find the missing money, or their father’s killers, but when the lynch mob unexpectedly returns to Shady Grove, the Drake boys face a force of mindless terror. As more bodies swing and the boundaries of justice become blurred, Braxton and Martin Drake venture to find an answer to the important question: was their father’s death justified, or just another unlucky hand in a cruel game of fate? Scott Connor once again gives his readers a fast moving tale that contains strong mystery elements. 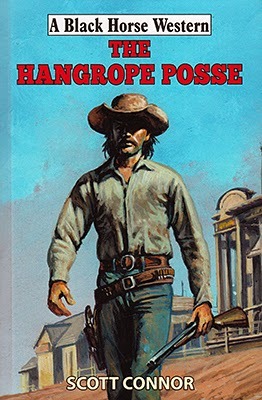 Who are/were the Hangrope Posse? Did their father steal the money? Where is the money now? The two brothers find themselves taking on separate jobs, unbeknown to each other they both become entwined within the same plot. Both having many people on their suspect list as Scott Connor masterfully creates an air of suspicion over everyone. Not just content with firing many questions at his heroes – and readers – Connor suddenly springs a terrific twist to the tale that proves to be the first of many. These surprises combined with some superb action scenes make this book a joy to read. 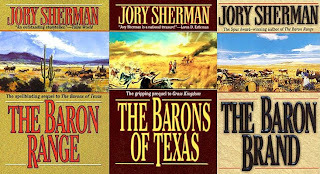 Jory Sherman, one of the great western writers, passed away yesterday. My condolences to his family. I felt honoured when Jory agreed to be interviewed by me and you can read that here. 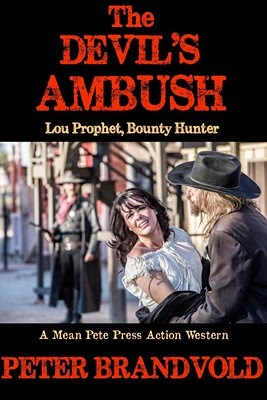 Lou Prophet and his sometime-sidekick, sometime-lover Louisa Bonaventure are lured to an old, abandoned cavalry outpost in southeast Colorado, and ambushed. Louisa is badly wounded. While the Vengeance Queen teeters on the edge of death, Prophet hunts the seven nightriders who tried to kick them both out with a cold shovel. So doing, he runs into a town teeming with scandalous secrets and seven devils who must pay for their sins in blood…. The Devil’s Ambush is the 12th book in Peter Brandvold’s popular Lou Prophet series and is available as an ebook only. This is a must read for followers of the series and I can’t really say why as it’d spoil the story for those wanting to read it. Peter Brandvold hooks the reader with a couple of questions almost from the word go. Who sent the letters that brings Prophet and Louisa to the deserted cavalry outpost? Who are the nightriders and why are they trying to kill the bounty hunters? Even when some of the answers are worked out there are still others that will ensure the reader keeps turning the pages. Prophet’s love hate relationship with the Vengeance Queen is further developed as Prophet faces the possibility of her dying. Whether she survives or not the ambushers must be made to pay and this is done through intimidation and violence that will test even the strongest nerves. Peter Brandvold also introduces other memorable characters such as the young lawman and his wife who become involved through pressures from both sides and it will be discovered whether the lawman has a backbone or not before the spectacular end. If you like fast paced westerns with plenty of savage action, twists and turns, tough men and woman that are more than a match for them, then this book should definitely be on your must read list. Sixteen-year-old Lew Kelly grew up idolizing his enigmatic ex-gunfighter father. Everyone thought Lew’s habit of practicing his quick draw was a harmless amusement—until the day when a boys’ hot-headed quarrel exploded into gunplay, with disastrous results. Three years later, Lew is withdrawn and bitter—and he still carries a gun. When an unexpected twist of circumstances forces him to face again the memories and the aftermath of that ill-fated fight, will old wrongs be righted—or will the result be an even worse tragedy than before? 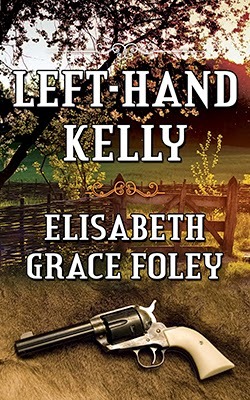 After reading Elisabeth Grace Foley’s superb short story collection, The Ranch Next Door, I’ve been looking forward to her next western and here it is in the form of a novella of approximately 38,000 words. Told in the first person through Colvin, the story hooks the reader right away with a question as to why does one young man shoot another? Colvin is soon involved trying to protect both the guilty and the innocent and how this deadly dilemma will be resolved is never obvious and the need to discover the answer made this a very difficult to put down read. Foley’s characters are both complex and well developed. Can some put aside their beliefs due to their upbringing and accept they must change is one of the themes the author explores. Others find themselves out of their depth and seeing how they cope in these situations is never predictable. The tale is beautifully paced, building through tense and frantic scenes to its neat conclusion and once again I’m left hoping it won’t be too long before Elisabeth Grace Foley presents us with another western. Left-Hand Kelly has just been released as an ebook but will be available as a paperback soon. When 17-year old Tom Hogan’s sister is offered a job at a theatre in the mining town of Diamond City, Montana, he little realizes that his twin is in danger of being drawn into a life of prostitution. When he discovers the truth, the young man sets off to rescue her. But his journey leads him into the underground world of gambling dens and hurdy-gurdy houses. His plans go awry and unwittingly he becomes involved in the break-up of a gang of opium smugglers. He also learns that being a real man means a good deal more than just carrying a gun or winning at a Faro table. Ethan Harker is a pseudonym, one of a fistful used by Simon Webb, and is the second tale I’ve read by him. Like the previous book I found he has a style all of his own that took a little getting used to, for instance it’s like there is someone watching over the storyteller who will jump in and explain something every now and again. The plot is straight-forward and has regular bursts of violence. What I enjoyed the most was seeing how Tom Hogan’s visions for his future changed due to the different situations he has to deal with and the conflict this creates within himself, and whether destiny will give him the option of choosing one path or the other after saving his sister – if the latter is possible. The author inserts a lot of interesting information about the opium trade and the law’s attempts to close it down, a battle that continues until this day, so this part of the plot is something that today’s readers can all too easily relate to. Once used to the author’s style the book is a fast, easy read that has a neat twist at the end which brings the story to a satisfying close. 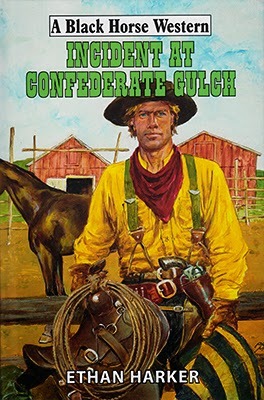 Incident at Confederate Gulch has an official release date of June 30th but is already available from the usual Internet bookstores. *Please note that if searching for this book at Amazon they've spelt the title wrongly (see below). The Mexicans needed guns and Fargo needed money—so they made a deal. Getting the arms past the cavalry patrols along the border would take some doing, but Fargo thought he could handle it. There might be a problem later with the Mexicans—you never knew which way the sons of senoras were likely to jump—but as always Fargo figured to take it one man, one bullet at a time. The kind of trouble he didn’t count on when he took the job turned out to be the worst trouble of all – the Apaches. Geronimo was dead, and the big wars were over, but deep in the mountains the last of the Mescaleros still prowled like rabid wolves. Originally published way back in April 1970 it’s great to see Piccadilly Publishing bringing it back as an ebook some 40+ years later, giving those who missed it the first time around a chance to catch up with this classic series. Neal Fargo is a soldier of fortune, a hired gun who will tackle any problem if the money is right. Here he takes on a straight-forward gunrunning mission only for it to become much more complicated. Greed seems to be the fuel that drives all parties, except the girl whom Fargo finds himself reluctantly saddled with; she’s looking to pay a ransom for the return of her brother. John Benteen, a pseudonym used by Ben Haas, doesn’t let up with the action in this book as Fargo is vastly outnumbered. 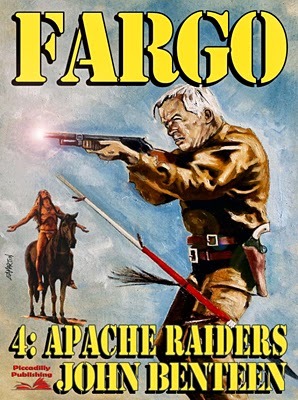 The Apaches prove to be formidable foes and force Fargo to fight a couple of tense duels which were the highlights of the book for me. To escape their clutches will take all of Fargo’s talents and a large amount of luck. Benteen’s prose is a joy to read, his plot quite brutal at times, his characters equally as hard. Although the storyline doesn’t offer any major surprises, the book does prove to be a gripping read and left me looking forward to reading the next in the series. Jeff Arlen, a detective with the Butterworth Agency, is on the trail of Alec Frome, who has stolen $10000 from the bank where he works. Having lost him once, Arlen rides into Sunset Ridge, Nebraska, hoping to find Frome in the town where he’d once lived. But after rescuing Brenda Farrell, soon after his arrival, he becomes side-tracked, drawn into a perilous local battle. Capturing Frome, and retrieving the stolen money looks like child’s play in the face of what he now faces, which will only be resolved once and for all with tons of courage, and plenty of hot lead. After a great opening scene this book just becomes more and more complicated in plot as Corba Sunman hooks the reader with question after question mainly based around the various characters motives and just what had happened in Buck Farrell’s past. Whatever the answers are, Sunman doesn’t let on until he’s good and ready too, and these revelations offer plenty of surprises. The story contains lots of twists and turns along an abundance of gun action. 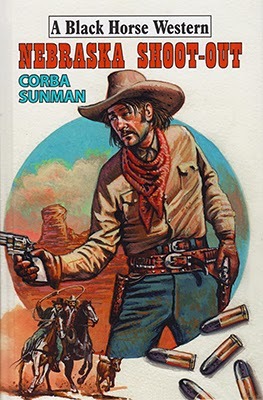 Corba Sunman has written many Black Horse Westerns and has long been a fan favourite. His writing style is a pleasure to read and his plots move along at a cracking pace. On finishing this one I found myself eager to dig into my collection and pull out one of his earlier books I haven’t read yet whilst waiting for his next to be published. Comanche County’s sheriff Clint Wilson is a legend among lawmen, lightning fast with his guns, feared by every outlaw from Tulsa all the way to Tombstone. When Jed Bratton and his boys brutalize Wilson’s wife and daughter, the sheriff vows to hunt them down like wild animals and make them pay for their sins. In a blind rage of blood-vengeance and blazing gunfire, he sends Jed straight to hell. But he also sacrifices something dearer to him than his own life, and he turns to whiskey to numb the pain. Jed Bratton’s boy Luke, renowned throughout the West for the notches on his gun, is headed for Comanche County to kill the man who killed his father. Clint Wilson must battle the bottle and recover his own lost pride – or face a final showdown in the dust. This book explores some very dark themes and it’s no wonder Wilson tries to find solace in a bottle. The story is hard-hitting, brutal at times, although the most horrific acts aren’t described in detail as they happen, it’s the struggle to survive afterwards that hammers-home the savagery of the Bratton’s actions. 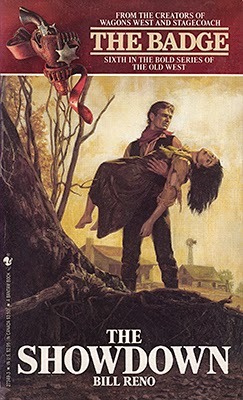 Bill Reno is a pseudonym used by Lew A. Lacy, and in The Badge series he certainly came up with some terrific stories, and this entry is as powerful as any I’ve read. The strain on Wilson’s mind and heart is very memorable and will stay with me for a long time. But it’s not all despair, even though Wilson gives up to the bottle and others write him off, there are friends who battle to save him, urge him to stand-up again, particularly when it becomes common-knowledge that Luke Bratton is riding in for a showdown. I know it’s an often used term, but this book really is a difficult to put down read. The writing captures the imagination and builds in both pace and tension as that final showdown draws ever closer and you do have to wonder if Wilson will survive that due to the tone of the story. Most of The Badge series are stand-alone titles linked by the fact that each one is about a lawman. The series ran for 24 books and on the strength of this one I’m really looking forward to reading the rest. Carroll Cougar is a quiet, peaceful man living at home on his small ranch on Twin Creek after years of scouting for the US Army. But sometimes you can’t leave trouble behind. And, when a letter arrives from General Crook, signed by the President, who is fighting Apaches in the West, informing him that a coalition of Apaches, Comanches, white Americans and even some European forces are gathering, hoping to take the entire Southwest, it seems like one of those times. Coupled with the information that one of the leaders of this new group is one Solon Reineke, the man who killed the only woman Cougar ever loved, he knows the opportunity cannot be shrugged away. He might have been able to ignore the President’s call to duty, but not the temptation to hunt Reineke. He must track the killer down and finally finish their blood grudge. During the past few months it seems Hale are publishing longer and longer books, and this is one of the longest yet. They still have the same number of pages, just much smaller print and more lines per page. Cougar makes for a superb lead character, a tough man haunted by bad memories. Yet, as the story progresses, glimpses of his caring side are revealed. During his journey to find Reineke he finds himself riding with old friends and new, all of whom might be hiding dangerous secrets. And what of the various groups of trailing riders? Who are they and what do they want? 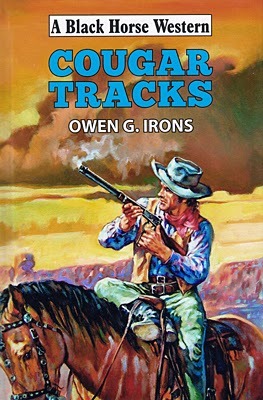 Owen G. Irons has long been one of my favourite Black Horse Western writers and with this book he has presented the reader with a fascinating storyline full of twists and turns. All the main characters are explored in depth making you want to discover more about them, find out what happens to them, confirm your suspicions about some of them. Which is just as well, as like the best serials this book leaves a number of threads hanging, left me cursing (in the best way possible) that you can’t end the book like that! Which lead me to discover that a follow up book, Cougar Prowls, will be released in October, and now I’m wishing my life away as that seems a long time to have to wait to see how this excellent tale continues.